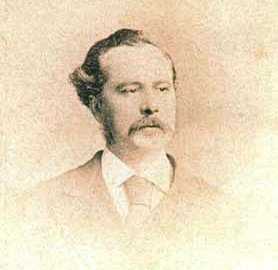 Edward Pugin was Augustus Pugin’s eldest son and second child. He was born in Ramsgate on 11th March1834. His mother was Louisa Button, whom Pugin had married in 1833 and who died in 1844. 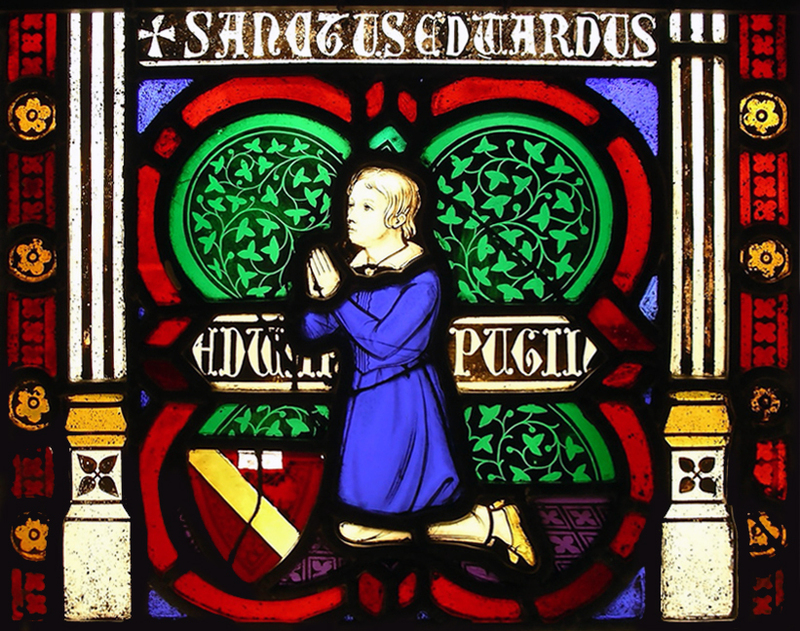 Edward was not sent away to school, and at an early age became his father’s assistant, working alongside the slightly older John Hardman Powell, Augustus Pugin’s chief assistant (and eventually son-in-law), and helping to make the cartoons for the many stained glass windows that Pugin was designing whilst living in Ramsgate. After the tragic early death of Pugin in 1852, Edward, his stepmother Jane, and other members of the family moved to Birmingham, in order to remain in contact with Hardman firm, and then to London. By 1861, however, the Pugin family were back in Ramsgate, where Edward, by alterations to the family home, The Grange, and lavish entertaining, felt that he had re-asserted the Pugin family standing in the town. 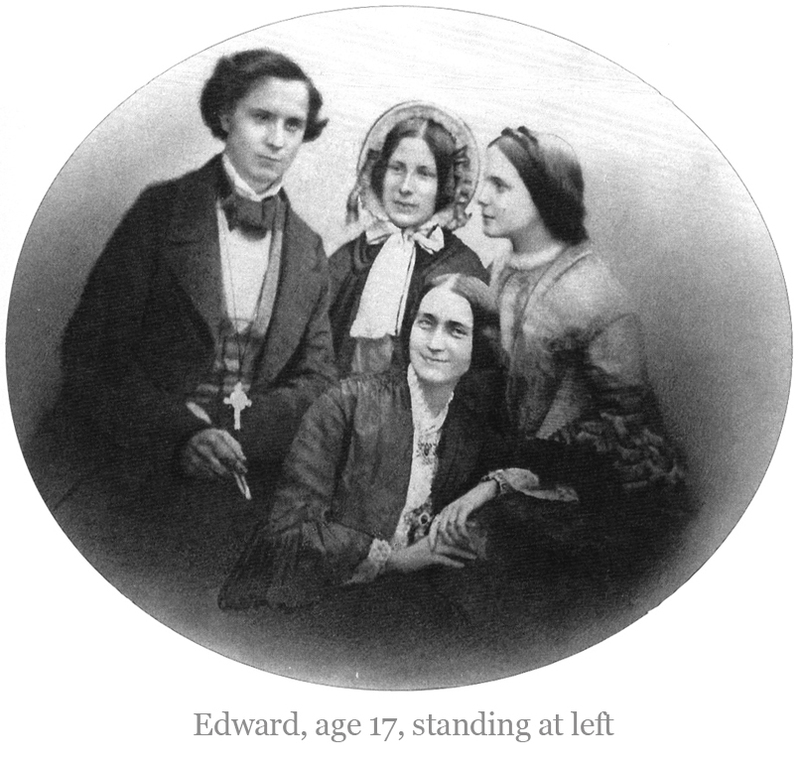 It soon became clear that Edward was an able, and original, architect, and, like his father, a workaholic and a driven personality. He had offices in Ramsgate, Liverpool, and London and was responsible for a vast number of buildings. His work initially was similar to that of his father, but later he developed a more personal style, influenced by French Gothic; his designs were sometimes very attenuated and tended strongly to the vertical. Unlike his father, to whom rood screens were all important, as being appropriate to the form of worship he felt was correct for the churches he was building, Edward designed churches with open sight lines to the high altar, and seldom with rood screens. These churches reflected the sort of Catholic liturgy that was becoming popular in the 1860s, a peak period of work for Edward. He built a very large number of Catholic churches, also monasteries, convents, chapels, orphanages and private houses. He had various partners, including his brother-in-law, George Coppinger Ashlin, with whom he built the spectacular Catholic cathedral of St Colman in Cobh, Ireland. His oeuvre was not restricted to England, and some of his best churches are in Ireland. He also worked in Belgium. Edward Pugin’s life was difficult and his temperament erratic. He had many worries, in particular after his bankruptcy of 1873. He was involved in a number of court cases and had uncertain health, not helped by his taking habit-forming medication in the form of chloral hydrate. He never married, and died aged only forty-one. 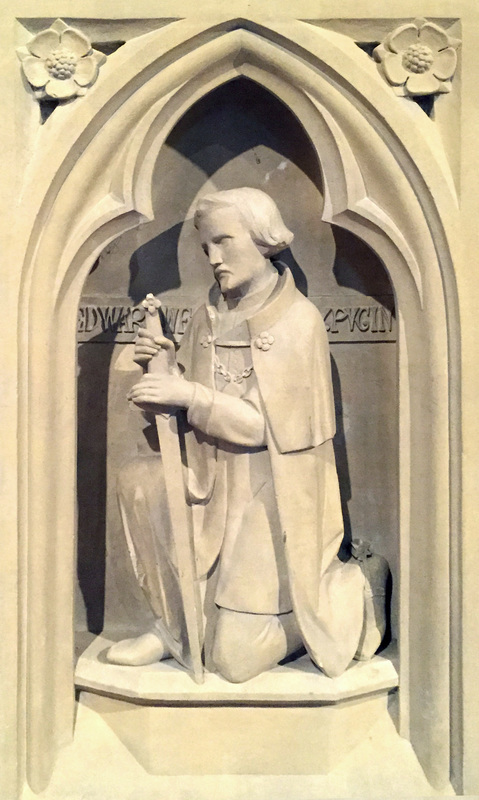 For a much more extended account of Edward Pugin’s life, see the ‘Biographical Sketch’ in the Gazetteer of his work on this website, by Gerard Hyland. Also recommended are: ‘The Later Pugins’, by Roderick O’Donnell, in Pugin: a Gothic Passion, Atterbury, Paul and Wainwright, Clive, (eds), New Haven, 1994, and Edward Pugin in Kent, by Catriona Blaker, second edition 2012, published by The Pugin Society and available for purchase in our Bookshop.